Porta 6 a portuguese wine for every ocasion. 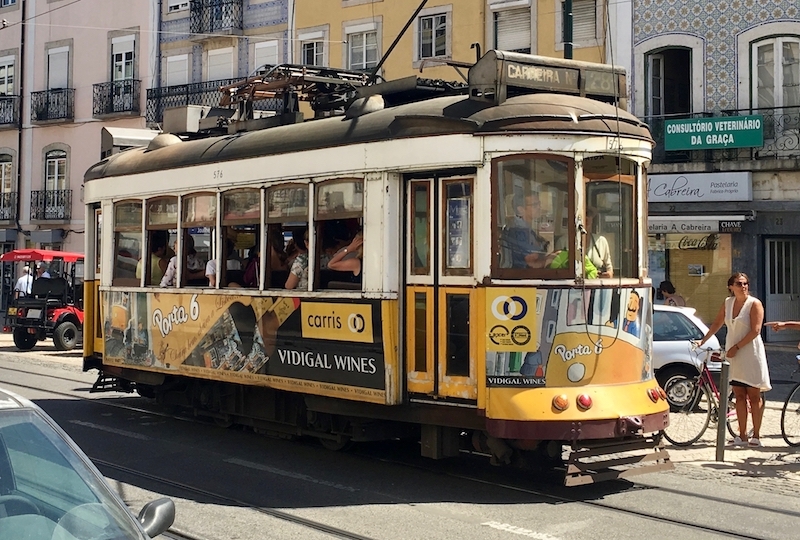 Portugal has distinguished itself as a tourist destination in Europe, having won several international awards and Lisbon is the motor of this movement. What tourist are also finding out is that the Portuguese wines are of excellent quality and have a very competitive price. Vidigal Wines is a winery located in Leiria, 150 Km north of Lisbon. The origins of the company date from the beginning of the 20th Century. During the last century, the company met a couple of owners until at the beginning of the 90’s the current Director, António Mendes Lopes – took over management. Since that time Vidigal has undergone great changes and technological advances that today allow it to produce about 3 million bottles per year. 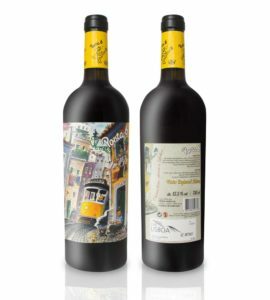 Being such an innovative wine company, Vidigal Wines has decided to print its Porta 6 wine with a label developed by the plastic artist, Hauke Vagt, who portrays a scene of electric trams in Lisbon (an icon of the capital), which in addition to the means of transportation of the residents is a very touristy transport one of the best ways to do to get to know the historical and charming city of Lisbon. Porta 6 red wine is fresh and pleasant, originally from the vineyards of the Alenquer and Cadaval Region, in the mountains north of Lisbon, is an undeniably typical Portuguese red wine, despite its playful and fun label. Fresh aroma with tropical fruit and citrus, highlighting the passion fruit. With mineral notes. 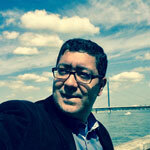 Hauke Vagt is a German who fell in love with the Portuguese culture and decided to move in the early 90’s. When he moved to Lisbon, he was marveled by the simple way of life of the locals and began to make illustrations and paintings which were sold to tourists in the famous Castle of St. George on one of the highest hills in the city. Nowadays, Hauke has his own atelier located on Rua do Salvador 49 in the Alfama neighborhood where he lives side by side with the characters he paints in his daily life. All characters are portrayed in detail in his paintings and illustrations and the best seller is, of course, the Porta 6 poster that already sold hundreds of copies. Check it out!